“Cheerful and fun-loving” is how the Angel’s Place caregivers describe our Angel of the Week: Hnunliansang. It is a remarkable and blessed transformation for a boy who was in great need not too long ago. In 2010, Hnunliansang was five years old and living with his grandfather. He remembers little of the time, but does remember the loneliness. 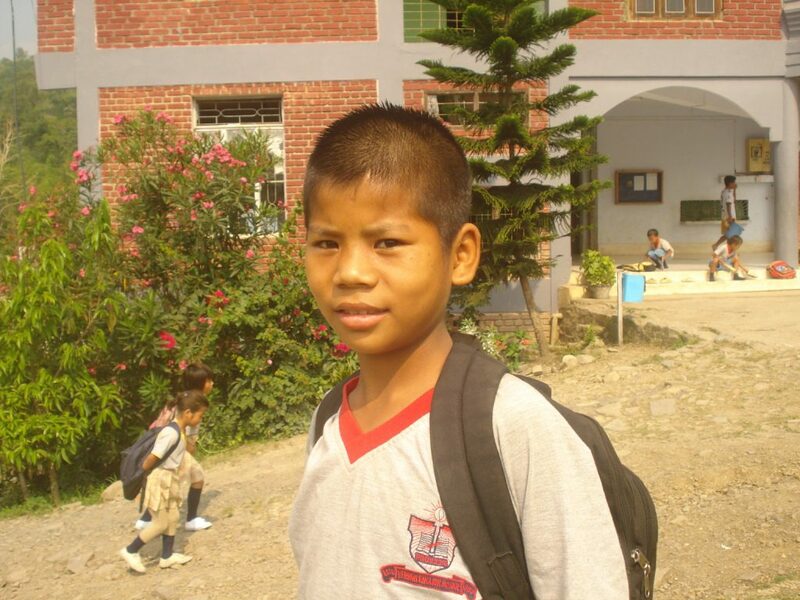 No longer able to take care of the child, his grandfather brought him to Angel’s Place, and now he is a happy boy who has the opportunity to go to school – and who enjoys it! Hnunliansang’s favorite things about life at Angel’s Place are school – where his favorite subject is English – dancing, and playing with the other children. This transformation would not have been possible without the generous support of his sponsors, and his gratitude for their support is the first thing that he wants to share with all the contacts in the James Connection. The James Connection makes possible the change in life from loneliness to hope by helping children like Hnunliansang. If you would like to help us to transform the life of another child, we invite you to become a sponsor through the James Connection. Visit our Ways to Help page for more information. To read more Angel of the Week stories, click on "Angel of the Week" under "Categories" to the right of this page. 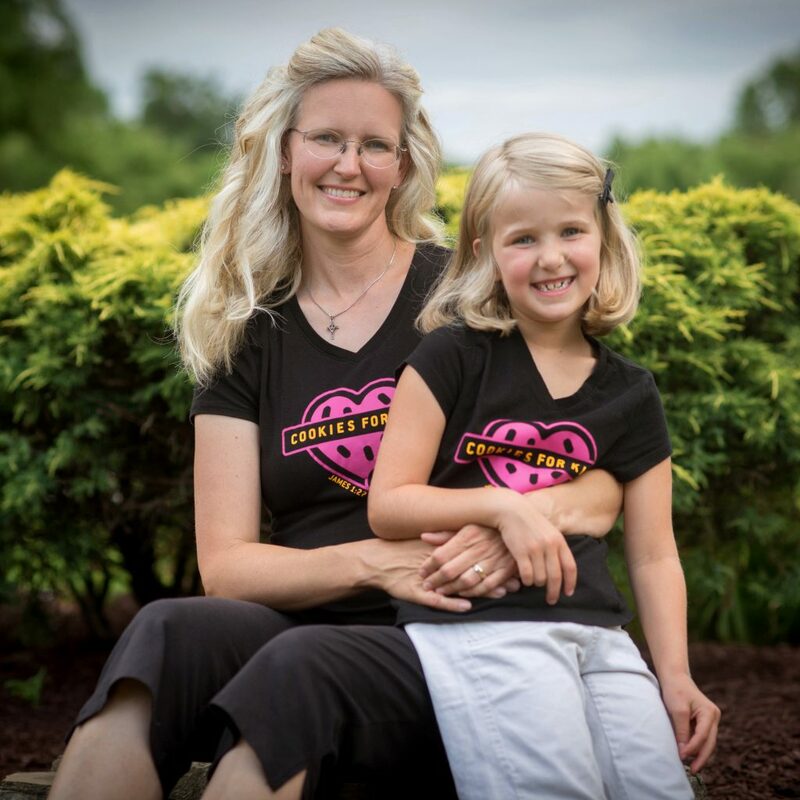 As Christmas approached last year, LeeAnne Lafferty of Gibsonia, PA (pictured left with her mother, Jenny) was thinking about the orphans of the world. She wanted to help but didn’t know how. Her first thought was that she could share her toys with them, and so she talked the idea over with her mother, Jenny. They prayed on how they could help, and after a week an idea came to them: Cookies for Kids. Their idea was to sell cookies to help children in need. So they bought their ingredients and started baking. The Laffertys were soon baking cookies together and selling them by the dozen. Contributors knew that the goal was to support the orphans of the world, and so they responded with a generosity in the spirit of the Laffertys' inspired idea. People gave anywhere from $10 to $250 for a dozen cookies, and in the end the Laffertys raised $1,150 from their home congregation. In the words of Jenny, “We know God can give an increase when the giving is placed in His hands.” For their contributions raised, the Cookies for Kids has provided almost the equivalent of three sponsorships for the children at Angel’s Place, and we are so grateful for their generosity that helps to make a new life for the children of Angel’s Place. If you feel inspired by LeeAnne's story and would like to learn more about what you can do to help the children of Angels' Place, visit our Ways to Help page.